Are you a committee member of a community, sporting group or organisation in the Waroona shire? if so the Shire President Cr Mike Walmsley would like to invite you or your representatives to attend this event. An opportunity to meet with Shire Reps, announcement of the 2011/12 community development grants and information sharing on the development of the community strategic plan. Maximum 4 commitee person per group. I will be representing the Lake Clifton Herron Progress and Sporting Association Inc. I can take 4 people in my car. Contact me if you need a lift. Are you going to the Mad Mums Tea Party on Sunday 7th August 2011 2-4pm at the Sebel in Mandurah. Supporting Breast Cancer Care. Please call Kimberley on 0411 160 158 or Marguerite on 0419 949 923. If you need a lift I will be taking the bus. If you wish to apply for the AGDRP payment or are waiting for it, it will come very soon. This is the payment you get, because of the fires, when you had to leave home for more than 24 hours. I have today been paid it. A long hard struggle with Centrelink. If you have any queries ring Centrelink they can deal with your application over the phone. A poster is attached regarding the Lake Clifton for this year. Quambie Park Waroona Inc is enjoying remarkable success and at the 2011 ACSWA (Aged & Community Services WA) Excellence in Care Awards Gala Dinner at the Burswood Complex was presented with a Certificate of Commendation in the Organisation Category after previously being named one of four State Finalists. Dress for the Gala Awards Dinner was Legends of Rock and the Quambie Park Team of twenty three personnel included fourteen staff members, three team leaders and six volunteer board members who arrived in style in the Quambie Park Community Bus. A wonderful evening of celebration and in the words of Stephen Kobelke CEO ACSWA “A sensational effort from the team at Quambie Park and the small rural town of Waroona made up 10% of those Aged Care personnel attending the Gala Awards Dinner. After the official presentation to Amana Living, General Manager Ken Landwehr seconded the microphone from MC Trevor Jenkins (ABC Sports) and conducted an interview and ensured all those present was aware of the passion and commitment of Quambie Park Waroona with staff receiving the highest praise of a real team effort. General Manager, Ken Landwehr quoted “ that Staff is our biggest asset despite low paid industry wages with a focus on training staff are continuously improving their skills and qualifications to benefit quality residential aged care. The Quambie resume reads a small rural based Community Charitable Organisation which has the important role of providing all the aged, community and independent living needs for the surrounding community, catering for high and low care, ageing in place and offering retirement living and community care. Quambie Park is a dedicated and proud staff of seventy caring for the increasing needs of an ageing small rural community with limited transport links. Waroona has the unique location of South East Corner of the Peel Region and gateway to the Southwest at the northern boundary of Wagerup linking with the South West Region. Quambie Park Waroona has grown enormously over the past few years and is a major employer in the small rural town of Waroona. Currently the organisation is researching and developing the organisation structure to cope with current and future demands to ensure sustainable growth, good governance and future development. Community Care has also grown significantly in the past two years and now has four vehicles to meet community care needs in the community. General Manager Ken Landwehr praises the hardworking volunteer Board of Management for having the courage and vision to undertake three major projects over the past couple of years and has gone into debt for the first time in its twenty six year history. Corporate support for such a worthy organisation as a Community Based Charity in difficult times would be most welcome. Quambie Park Waroona (Inc) is now recognised as a leader in Aged Care in Western Australia and CEO of ACSWA Stephen Kobelke in his welcome speech said “It is a testimony to the depth of the talent we have among aged care employees and organisations in our State that we have had such a strong field of worthy contenders in Each Award Category in 2011. Quambie Park is proud of its Aged Care Vision, Values and Philosophy which does make a difference and is fully committed to providing Quality Services and to continually improve those service provisions which were recognised at the 2011 ACSWA Excellence in Care Awards. RDA Peel holds information on many grants available to community groups. The following are just a few current grants and funding opportunities available, however if your group needs funding for purposes other than general administration costs and overheads, please contact us direct to discuss your situation. Please use the links for more information and relevant grant guidelines and applications. A total of $75 million is available for individual projects across a funding period of up to a maximum of 4 years. To be considered projects must also have a value in excess of $500,000. All applications must be supported by a project business case. The 2011 round is currently open and closes COB Friday, 22 July 2011. More information and to register your interest go to http://www.royaltiesforregions.wa.gov.au/grantandfunding/FundingApplications/Pages/default.aspx or contact the Peel Development Commission on 9530 0000. Community groups can now apply for small grants to help fund local environmental and sustainable agriculture projects. Grants of between $5,000 and $20,000 are available to help local community groups undertake activities such as revegetating landscapes, removing weeds, controlling pests, holding field days and improving sustainable land management practices. Since Community Action Grants were announced in 2009, 877 projects have received funding worth more than $15 million. Applications are currently open and close Monday, 1 August 2011. More information, including how to apply, is available from www.nrm.gov.au or by calling 1800 552 008. Applications are now open and close 4pm Friday, 29 July 2011 for Small Grant Round and 4pm Friday, 30 September 2011 for Annual and Forward Planning Grants. Many LGA will close the application period sooner to accommodate council meeting schedules, so applicants must check for any variations to this date. More information, including guidelines and applications forms go to www.dsr.wa.gov.au or contact the local DSR Peel District office on 9550 3100. Grants of between $1,000 to $5,000 are now available for eligible organisations to implement projects aimed at increasing physical activity levels, encouraging healthy eating and/or promoting healthy weight in adults aged between 25 – 50 years of age. Applications are now open and close 5pm Thursday, 21 July 2011. More information, guidelines and application form go to http://www.swapitwa.com.au/grants.html or contact the Senior Project Officer, Lisa Wheatley on 08 9382 5935. The awards are open to individuals, businesses and community groups and organisations that are making a difference in their local community in regional and rural WA through their community contribution. RSM Bird Cameron Business Enterprise Award rewards successful creative and enterprising businesses that are making important economic contributions. Prime Super Community Group of the Year Award aims to recognise groups and organisations that have made a difference to regional and rural WA. LandCorp Sustainability Award acknowledges individuals and organisations who share a passion and commitment for sustainability and to reducing environmental impacts in regional and rural areas. Dept. of Indigenous Affairs Indigenous Service Awards recognises a group or individual who has achieved outstanding outcomes for Indigenous people. Horizon Power Leadership & Innovation Award are leaders at the forefront of community contribution in their field of endeavour. Dept. 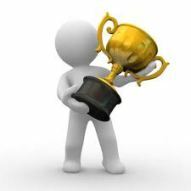 of Local Government – Local Government Best Practices Award recognises local governments that are working independently or in a partnership with other LGA, organisations or communities on successful initiatives to improve services to their community. Curtin University Teaching Excellent Award acknowledges people who are passionate about their work with students and have demonstrated a pattern of outstanding service. CSBP Environment Award acknowledges individuals and organisations who show a proven passion and dedication to reducing environmental impacts in rural and regional areas. Rinehart Family Volunteering Award applauds individuals and group who tirelessly and positively help others less fortunate than themselves. Nominations are now open and close Wednesday, 23 August 2011. More information and to obtain a nomination form go to www.awardsaustralia.com/RACA_wa.html or email wa@awardsaustralia.com. The awards recognise people with disability who have achieved something remarkable or made a significant contribution to their community, and people or groups within the community who have contributed to the disability sector or improved access and inclusion. Minister’s Lifelong Achievement Award recognises people who have advanced the rights of people with disability over a prolonged period of time. Young Disability Challenge Award recognises young people aged 12-25 years who have advanced the rights of people with disability. Business Award recognises organisations that have improved access to employment, or created increased employment opportunities for people with disability. Local Government Award recognises work in a community that provides opportunities for full inclusion of people with disability. Social Inclusion Award recognises schools, universities, employment and training providers and advocacy services who have enabled equal participation of people with disability in a range of areas in life. Inclusive and Accessible Communities Award recognises work by developers, builders and others in the building sector to create accessible buildings or facilities for people with disability. Health and Wellbeing Award recognises health and wellbeing services that are creating equal access for people with disability. More information, download a nomination form and guidelines or fill in a form online at www.idpwd.com.au or call 1800 440 385 to order hard copies. In May there were 51 grants totalling over $3 million. Belswan Pinjarra Social Club $12,478 towards equipment to enable members to participate in a range of social and recreational activities. Grow Smart Foundation Ltd $89,821 towards information technology, equipment and professional fees to support the development of this organisation and its delivery of programs to school aged children, empowering them to make appropriate choices when listening to personal music players. Finding a Suitable Grant or Funding Opportunity? Contact us and arrange a meeting where we can discuss your project or initiative. Writing a Funding Submission or Grant Application? Contact us to make an appointment so we can assist you with your application on a one-on-one confidential basis. Access to a Computer or the Internet? Make an appointment to use our “Open Access” area where you are welcome to use our facilities for your group’s purposes. Publishing or printing a newsletter? Contact us—your group is welcome to use our resources (limits apply). Photocopying or Collating? Contact us—your group is welcome to use our resources (limits apply). Finding a Meeting Venue in Mandurah? Your group is welcome to use our 15 seat board room in Mandurah to hold meetings during business hours. Contact us to make a booking.